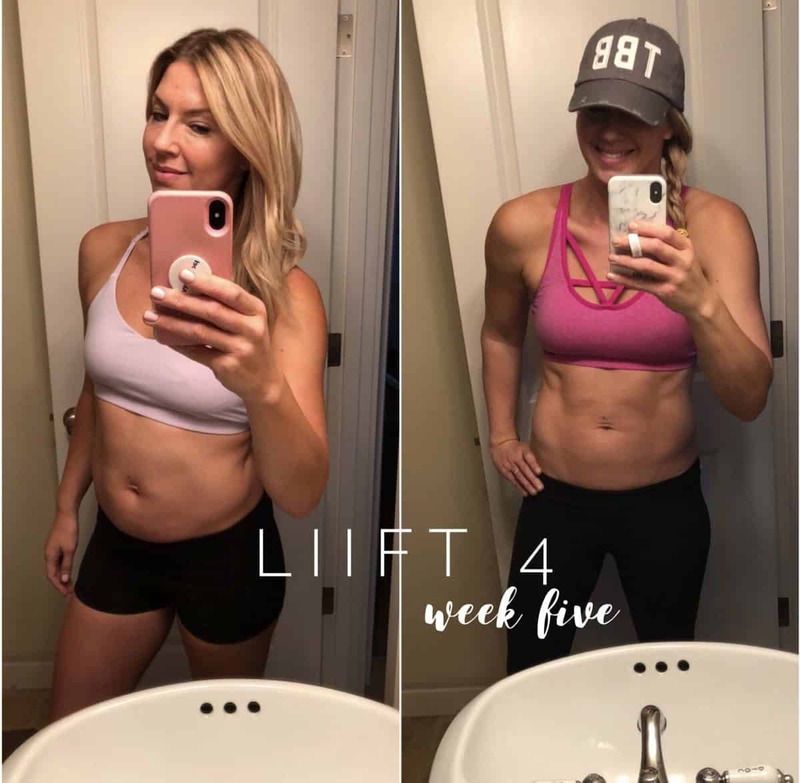 Week Five Liift 4 Review – A Mom’s Weight Loss Transformation! 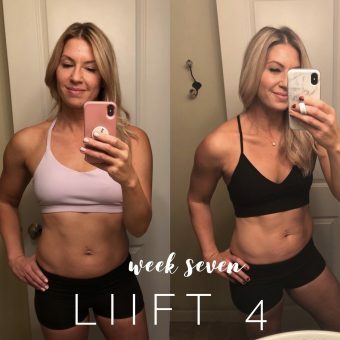 I’m in the full swing of week five and I’m excited to share with you because I am just loving this program. 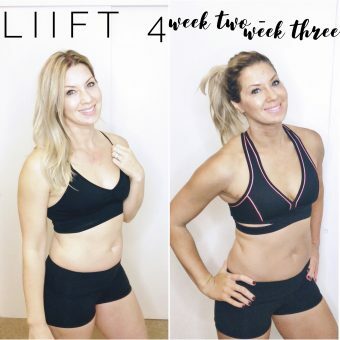 I feel like for any busy mom or for any woman who has a really hard time finishing a workout program and staying true to the promises that she’s made herself to complete a workout program, this one is the one for you, for us. 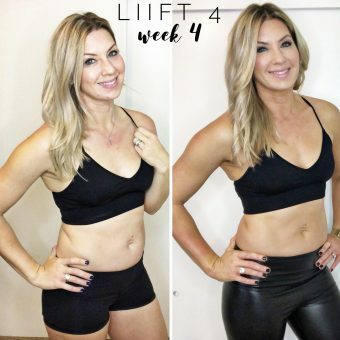 It’s only 40 minutes at the most that you’re going to be working out and you can totally do that. And also it is just four days a week. So if you want to do more, you can. If you don’t want to, there’s no guilt. So I was loving the core moves this week that he did because I pushed myself with the heavier weights. The core moves really hurt and I could feel them moving all the muscles. And on my rest day I did a pilates yoga fusion. You can see here that I did 15 minutes of a stretch, and strength. It’s definitely a faster moving yoga because I don’t have a lot of patients for yoga, but it made me feel alive and awake. I just need that and that’s why I’m so addicted to the endorphin high that exercise brings me. So leg day, I tried to, lift heavier weights, this was probably the hardest leg day that I’ve done in the program and he actually says that. So I was really trying to push myself and focus and lift heavier. 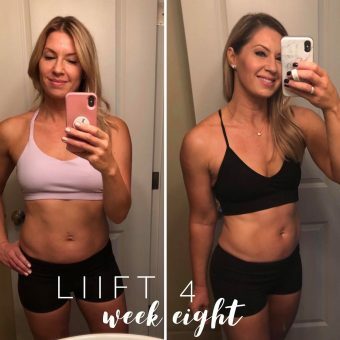 I did a workout on my rest day, on Saturday, I did A Little More Obsessed, which is an Autumn Calabrese calibration program that use sliders and bands. 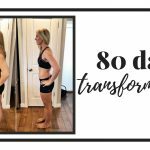 And that was a really good feeling as well because I could elongate my muscles again and just have something a little bit different. That’s not the heavy heavy weights. I was thinking about something important this week because I think as women we so often break the promises that we make to ourselves in order to maybe take care of those around us. And I found that when I keep the promises to myself, it helps me to trust myself. So that I believe that I can actually do what I set out to do. So keep lifting those weights, working out hard and enjoy the process. On to week six! How to Overcome Excuses to get Your Workout In!